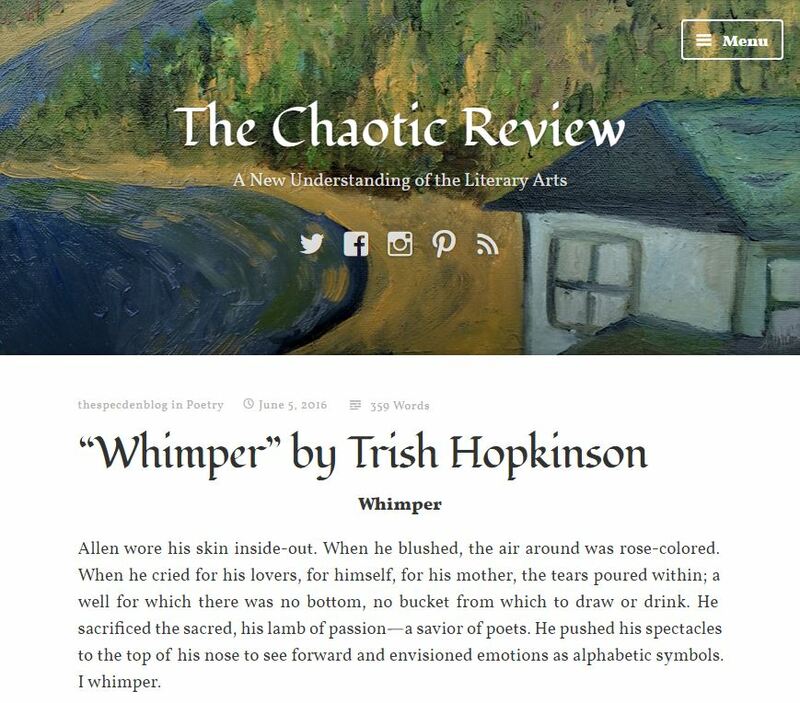 So pleased to have my prose poem “Whimper (after Allen Ginsberg’s ‘Howl’)” published in The Chaotic Review. Watch for my interview with the founder/editor Justin Hilliard later this week! Allen wore his skin inside-out. When he blushed, the air around was rose-colored. When he cried for his lovers, for himself, for his mother, the tears poured within; a well for which there was no bottom, no bucket from which to draw or drink. He sacrificed the sacred, his lamb of passion—a savior of poets. He pushed his spectacles to the top of his nose to see forward and envisioned emotions as alphabetic symbols. I whimper.